The Janata Dal-United led by Bihar Chief Minister Nitish Kumar on Saturday virtually put rebel leader Sharad Yadav on notice, hinting at action against him if he attends the RJD rally on August 27. JD-U General Secretary K.C. Tyagi told reporters that the party has not acted against Yadav for his “anti-party activities” because of his seniority and long association with the party. “If he attends RJD chief Lalu Prasad’s rally here on August 27, then he will cross the Lakshman Rekha,” he said, and hinted at action against Yadav. Tyagi said that Yadav has left the party “on his own” and is “no longer with us, emotionally or physically”. Speaking to reporters after the party’s national executive meeting at the Chief Minister’s official residence here, he accused Yadav of indulging in anti-party activities by holding separate meetings with his own supporters and RJD members. He claimed Yadav has “always taken a stand against Nitish — whether it is on demonetisation, surgical strikes and women’s reservation. He always took a different stand and went to the extremes”. Tyagi justified the party’s decision to remove Yadav as leader in the Rajya Sabha. Tyagi maintained there was no split as the entire JD-U was with party president and Bihar Chief Minister Nitish Kumar. Tyagi said heads of 16 state committees were with Nitish Kumar, contrary to claims made by the rival group. He said in Bihar all 71 party MLAs, 30 MLCs and two Lok Sabha MPs and most of the Rajya Sabha MPs were with Nitish Kumar-led JD-U, except Sharad Yadav and Ali Anwar. Tyagi also formally announced the party’s decision to join the BJP-led National Democratic Alliance (NDA). 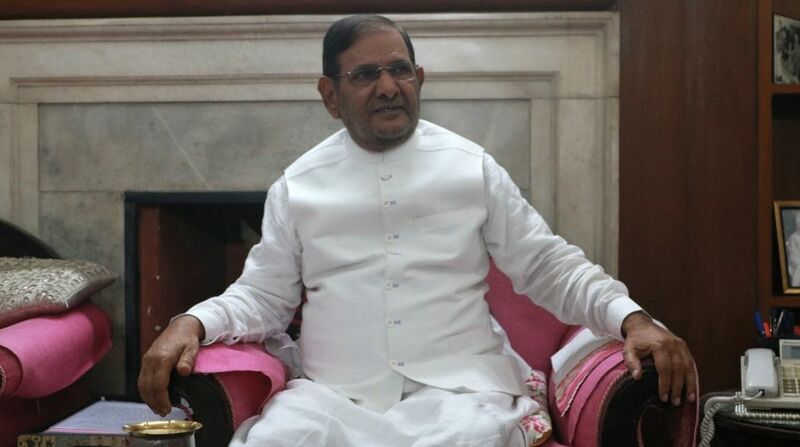 The JD-U now has two factions: one led by Nitish Kumar and the other by senior party leader and former party president Sharad Yadav, who also held a meeting with party leaders and workers here on Saturday.